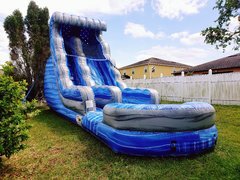 Inflatable Dry Slide Rentals | JumpAroundPartyRental.com Lakeland FL. 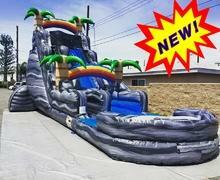 Inflatable dry slide rentals are the ideal choice for locations where water use is not appropriate. This makes them perfect for school fun days, church carnivals, and company picnics. 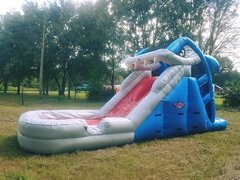 All of our inflatable slide rental units are manufactured from "lead-free" vinyl, and are cleaned and sanitized before every rental for child's and guest's safety. Browse the selections below and click on the image or "More Info" link to get additional information and to make a reservation. All units are to be used DRY. Safety features match the use of the unit under dry/ normal conditions.